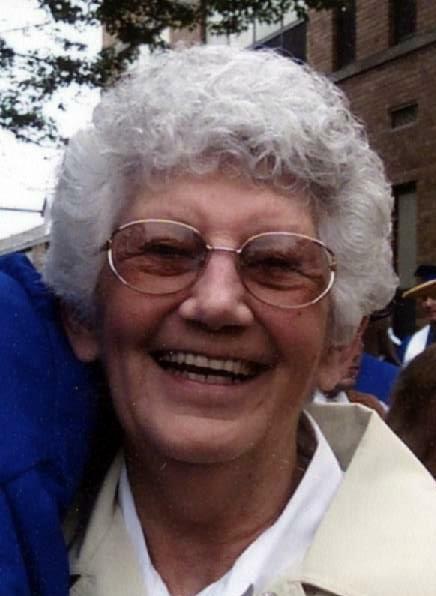 Janice Sherrick, 88, of Delphos, passed away on Friday, October 5, 2018, at Willow Ridge Nursing Home in Bluffton. She was born On May 10, 1930, in Delphos to Cody Linder and Elizabeth “Betty” (Moorman) Linder-Holmes. She was united in marriage to Robert “Bob” Sherrick. He preceded her in death on January 14, 1992. Janice is survived by five children, John (Toots) Sherrick of Celina, Kristi (Dave) Maxwell of Lima, Kathy (Bill) Eversole of Columbus Grove, Laura (John) Schleeter of Ypsilanti, MI, and Lisa (Todd) Bowersock of Richmond, IN; fourteen grandchildren, Kendra (Brad) Klausing, Tracy (Chris) Leeman, Leslie Sterling, Russ (Kelly) Sterling, Daina, Derek (Liz), and Steve Dickman, Ryan (Loretta) Trentman, Grant, Brett, and Sam Bowersock, Cody (Kristen), and Nate (Brittney) Sherrick, and Logan Sherrick; eleven great grandchildren, Hallee Klausing, Jacey and Gavin Leeman, Avery, Tristen, Lucas, and Danielle Sherrick, Katie Joyce, and Ryder, Sawyer, and Bodhi Trentman. She was preceded in death by her parents and husband; a son, Steve Sherrick; three infant children, Jill, James, and Mark; a great grandchild, Aubrey Klausing; and a son-in-law, John Dickman. Janice was a past member of First Assembly of God Church. She was a homemaker and also worked at Sunshine Day Care for eleven years. She also spent a lot of time babysitting for her grandchildren. Janice loved crossword puzzles and watching movies. Her best times were spending time with her children and grandchildren.